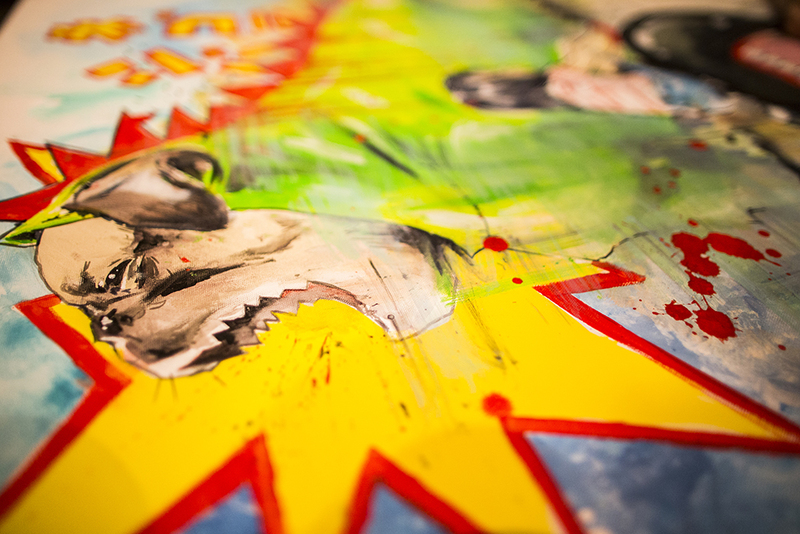 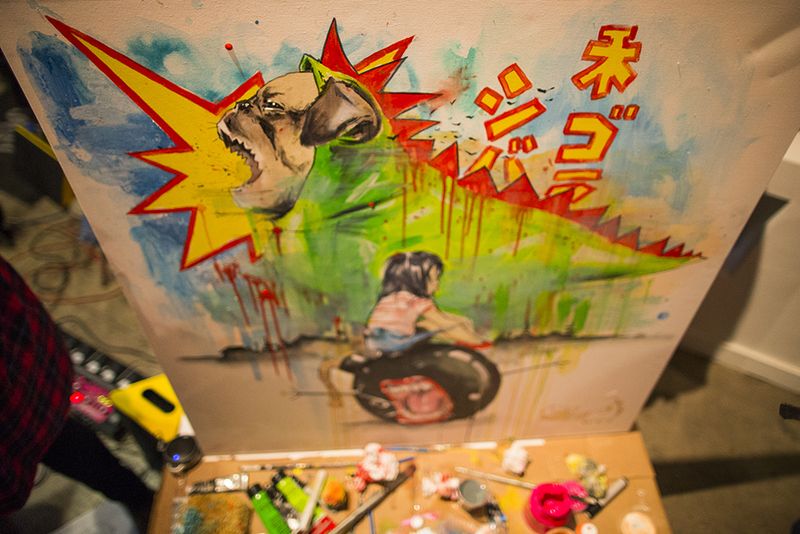 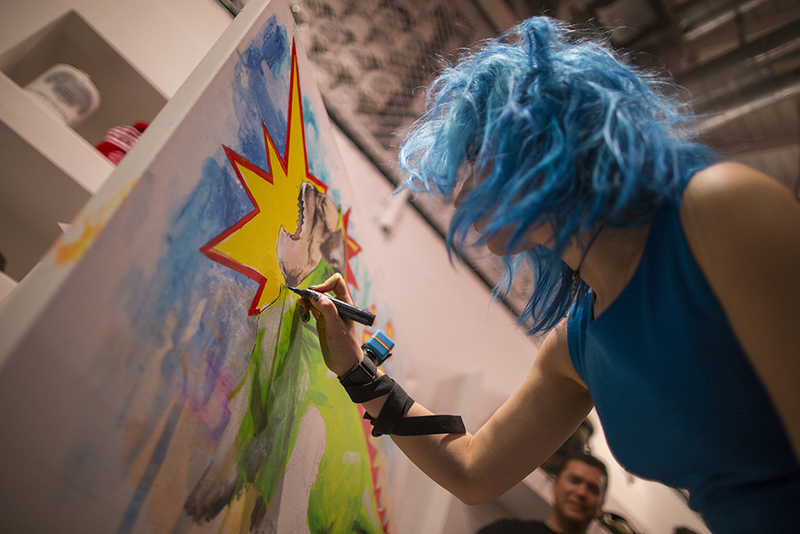 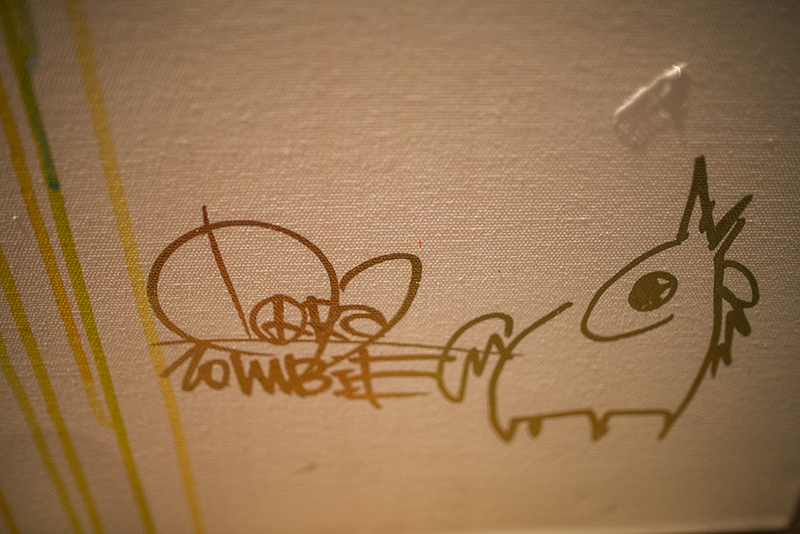 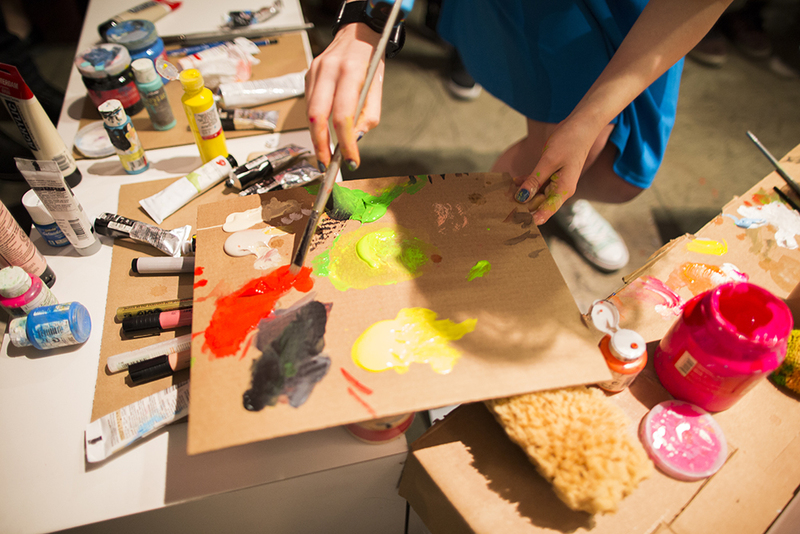 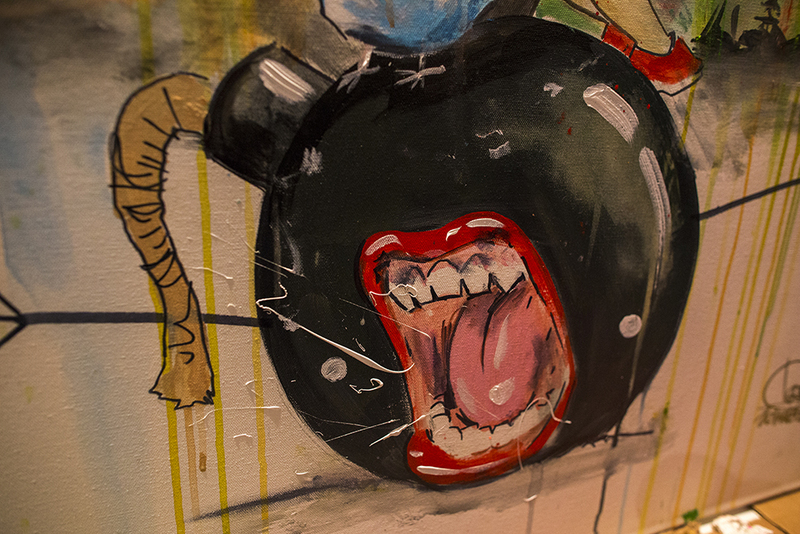 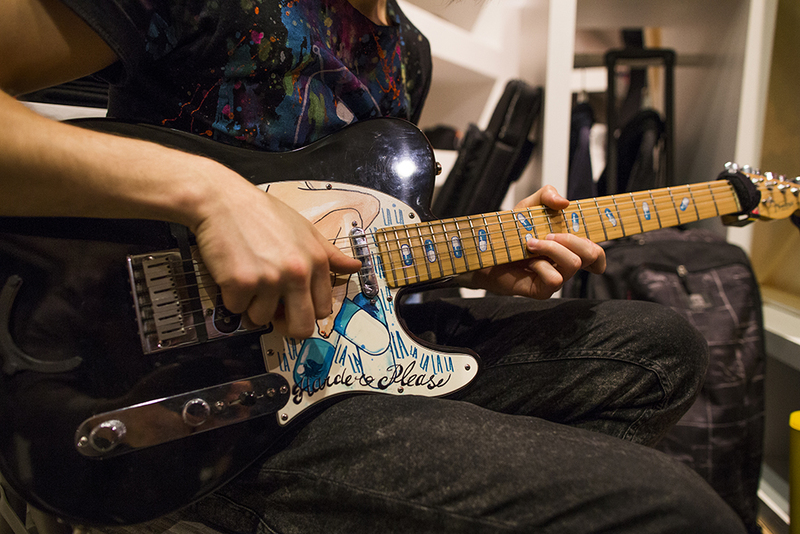 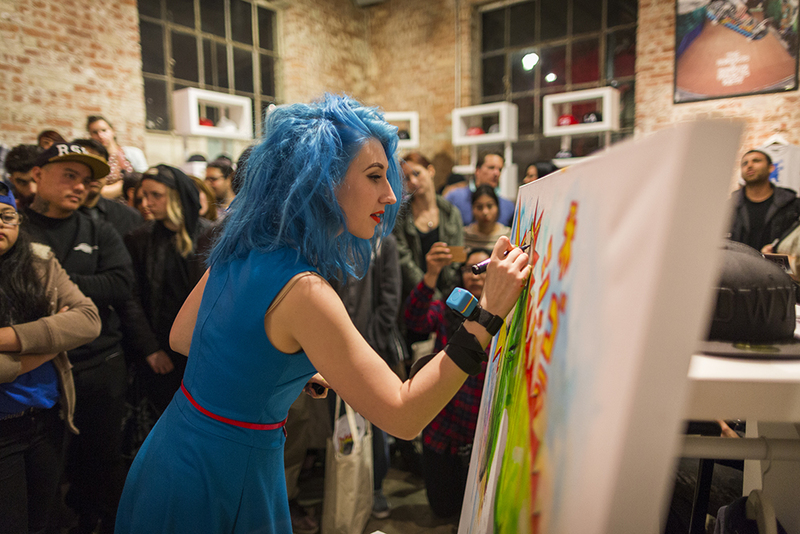 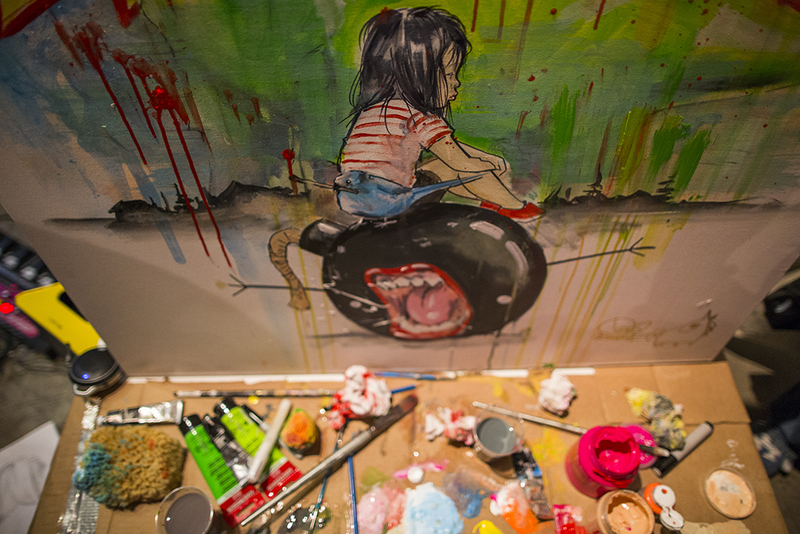 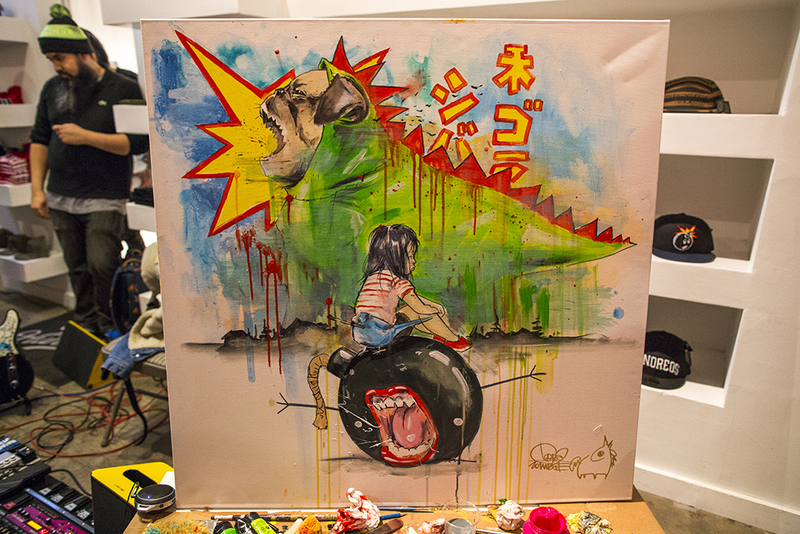 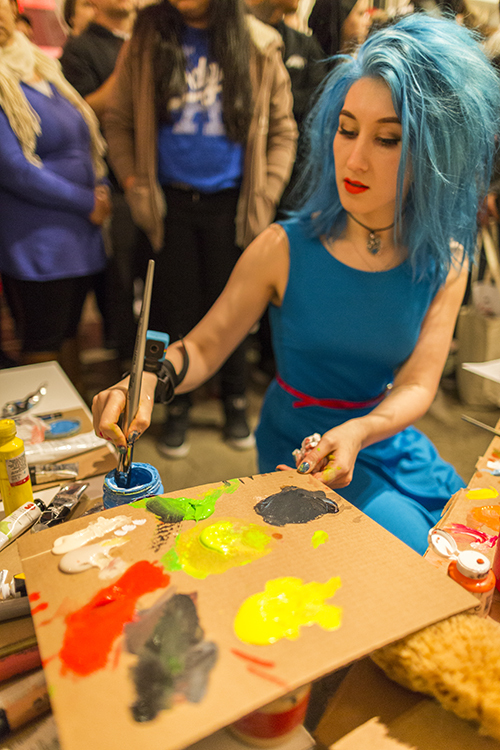 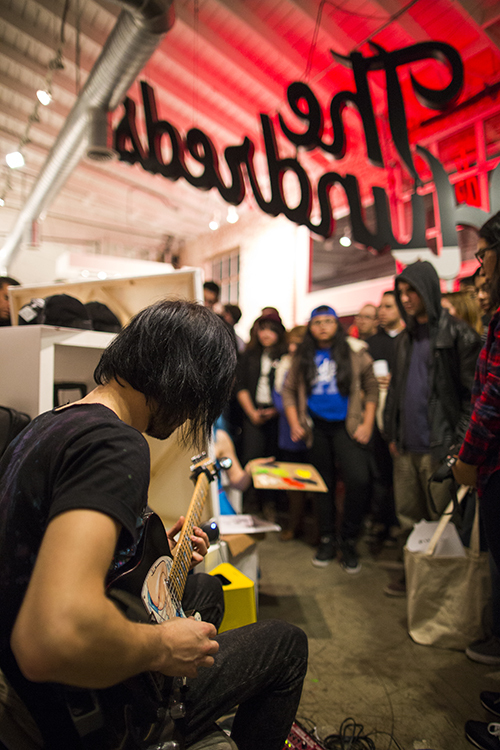 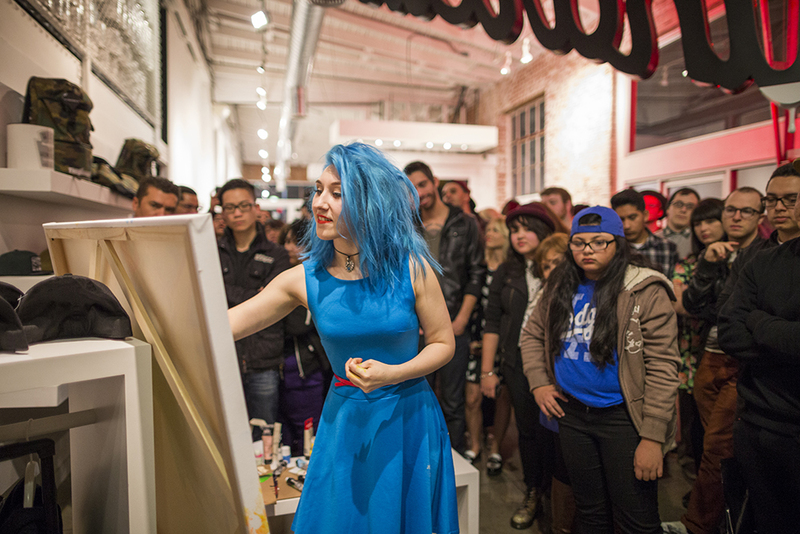 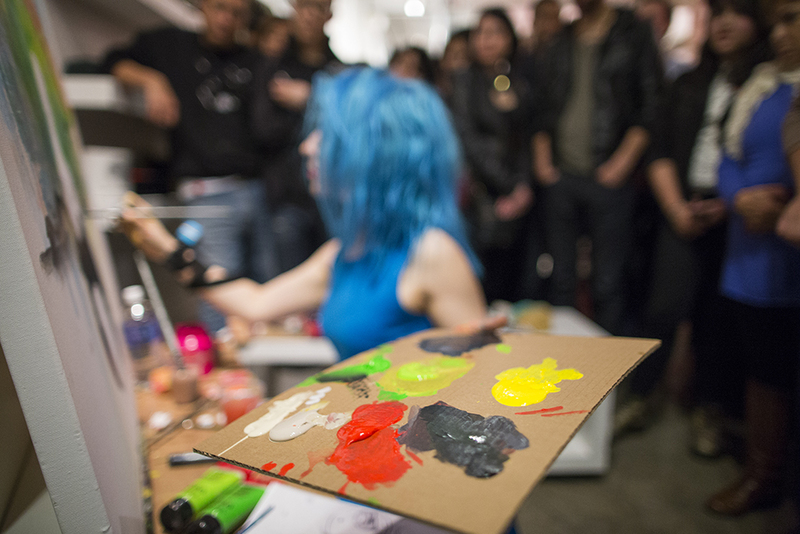 The Lora Zombie Live Painting event at BDWY last Friday was a hugely successful intimate event. 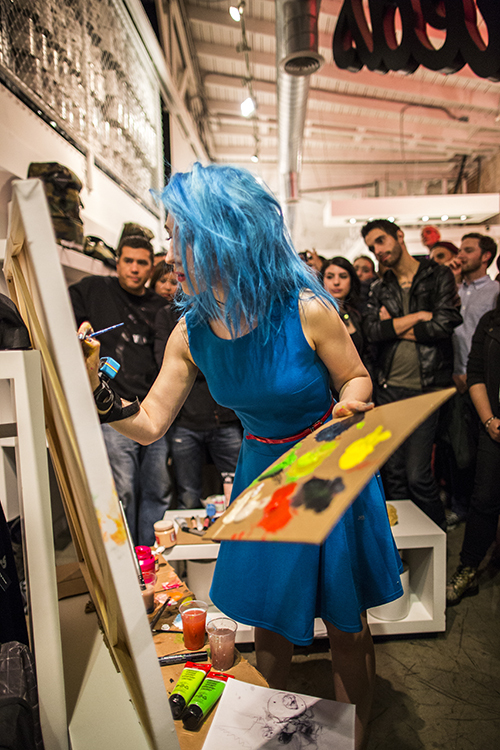 Thanks to everyone who made it such a success! 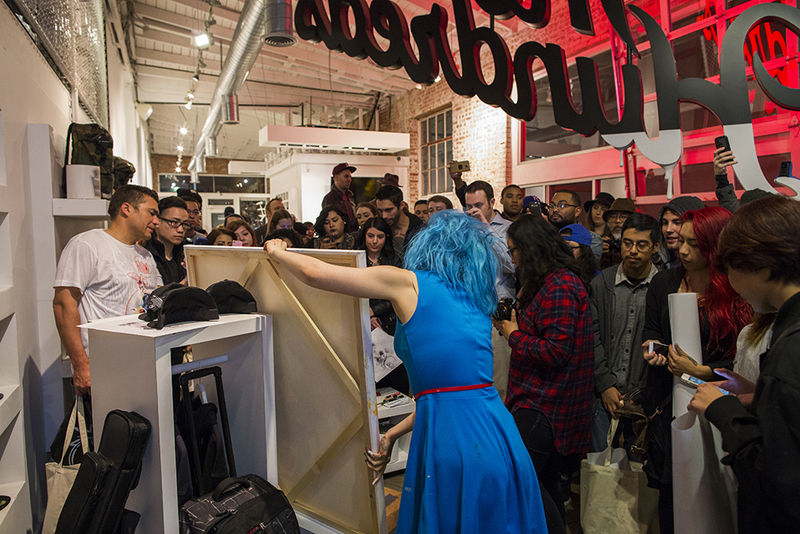 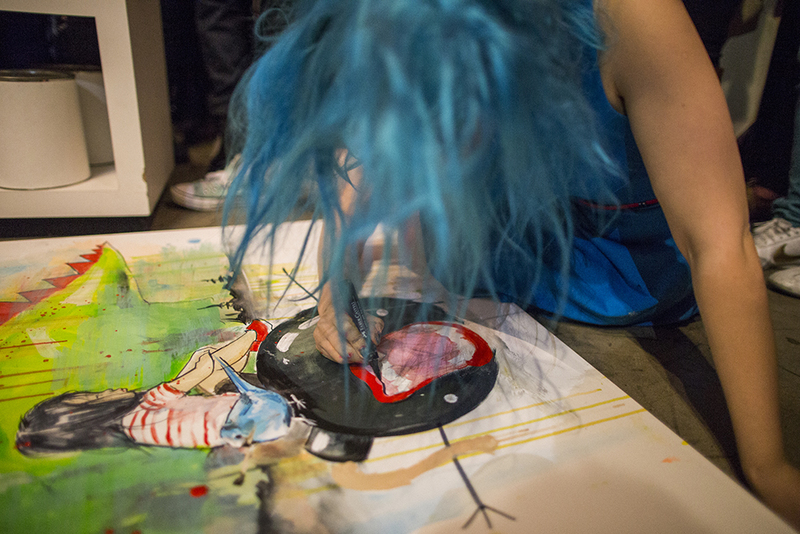 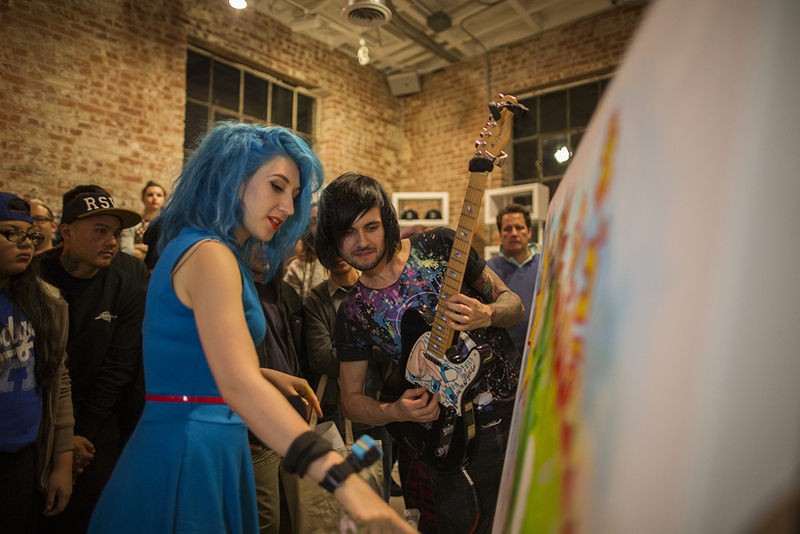 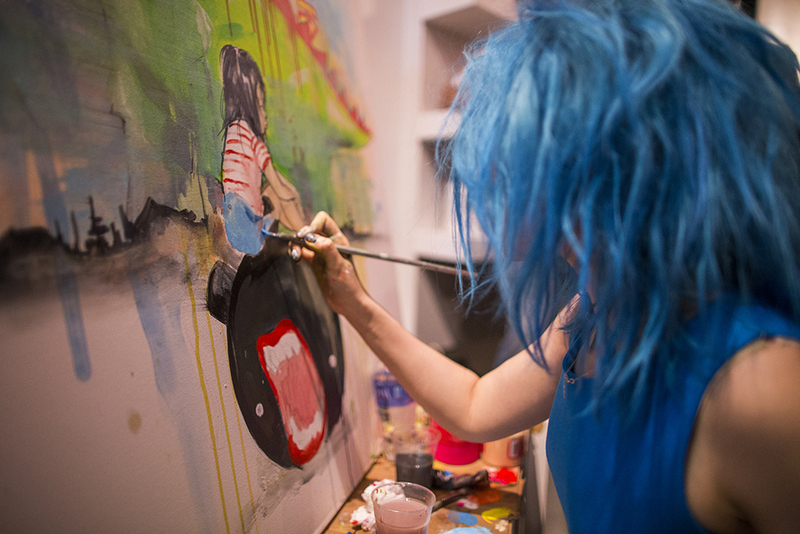 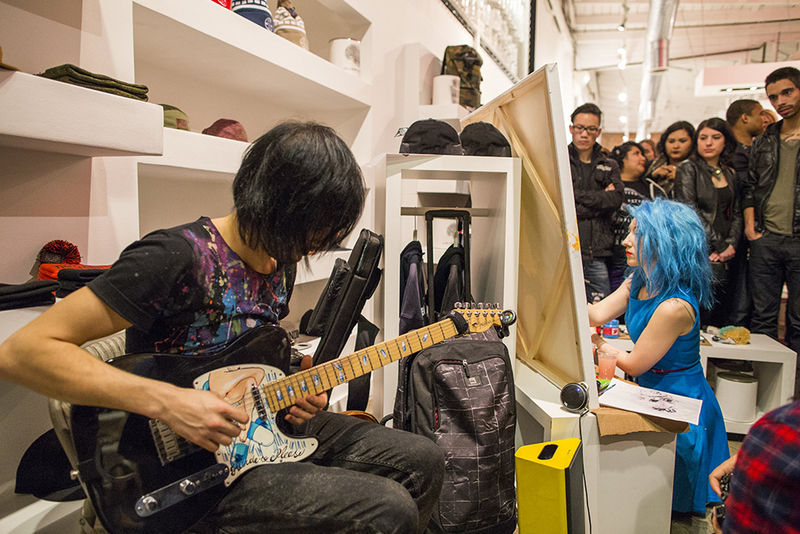 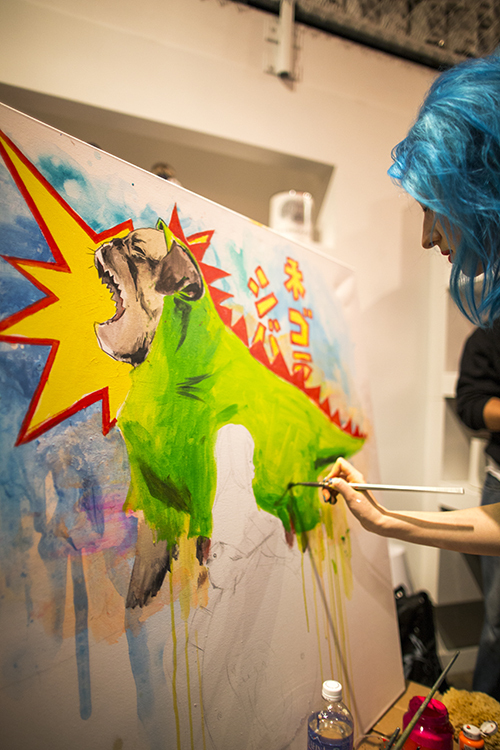 The Russian-based grunge artist was onsite at The Hundreds Santa Monica to give fans a first-hand look at her unique style and technique as she created an exclusive piece of collaborative artwork from start to finish. 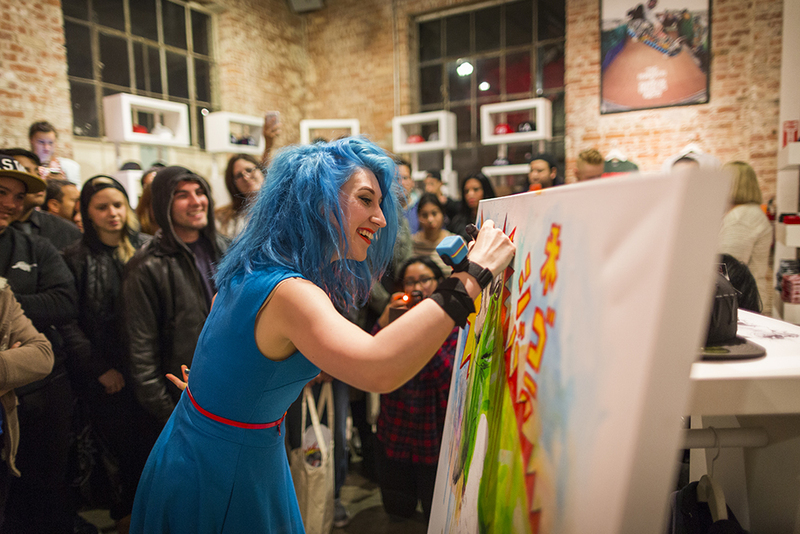 Attendees were able to ask Lora questions afterwards about her inspirations. 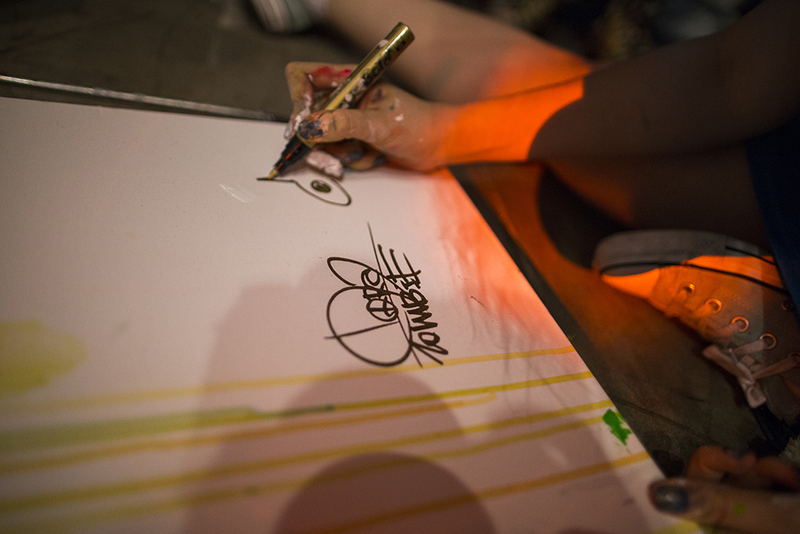 Lora had 3 exclusive commissioned prints inspired by The Hundreds for the event which were packaged in sets and given to those that came out. 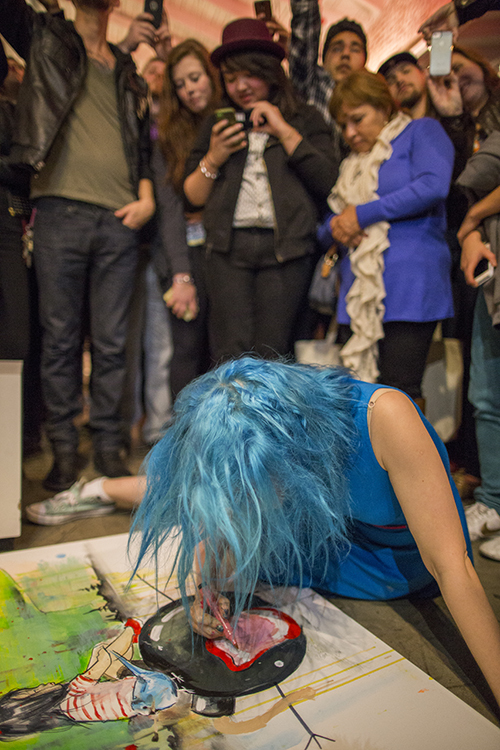 After she finished, it turned into a meet and greet where some of her biggest fans got a chance to get their prints personalized – some even brought her original art pieces to have personalized as well. 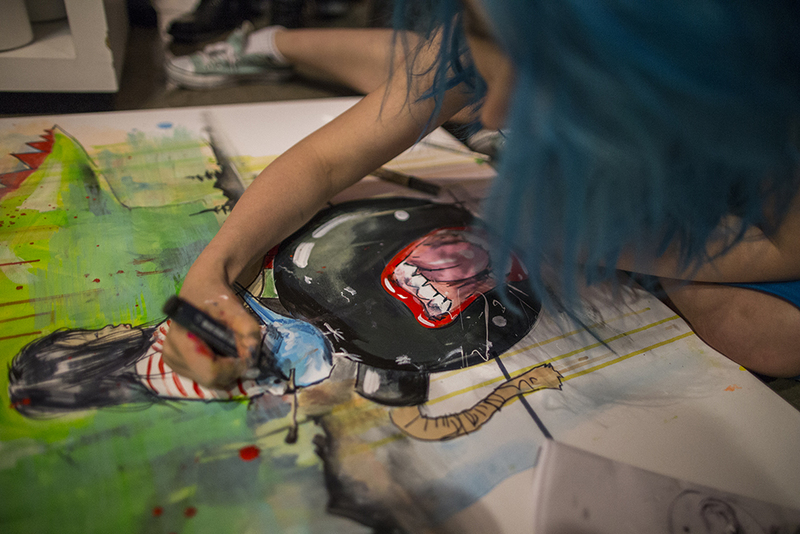 The event was held to shine light on the “Open Wide” T-shirt from The Hundreds Spring Delivery 2 that she commissioned for us as her own rendition of our mascot Adam Bomb. 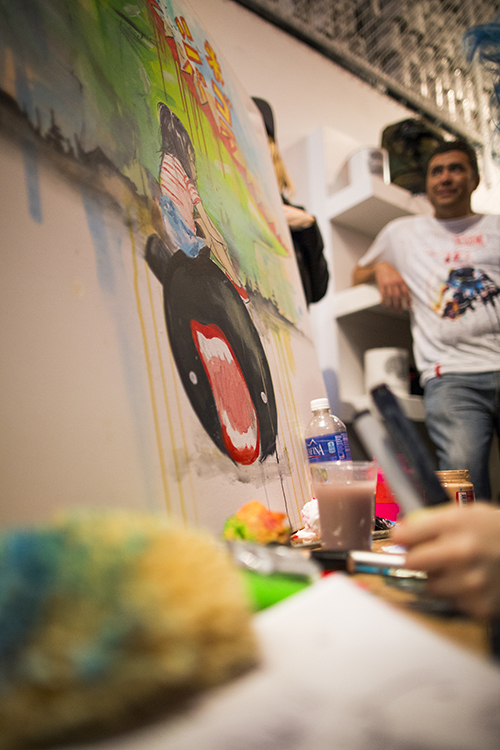 A few of the T-shirts were made available that night only and will not be available for purchase until D2 drops. 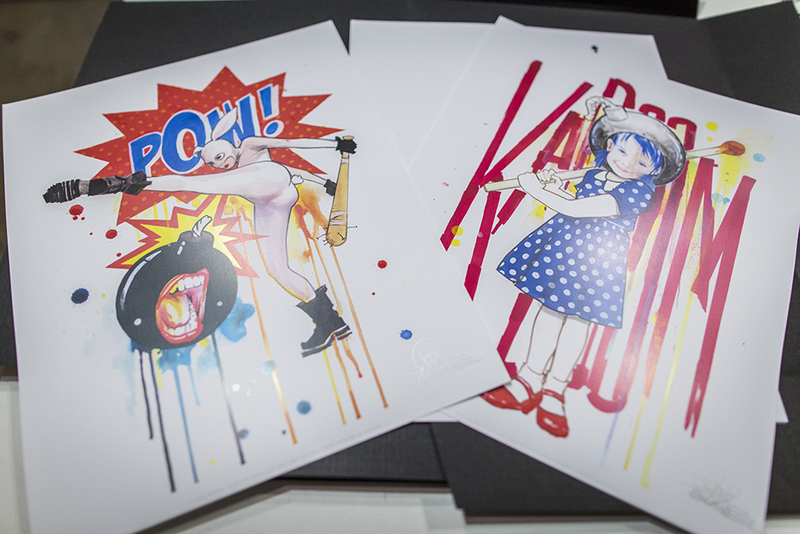 Those lucky enough to grab one were awarded with the set of prints she commissioned. 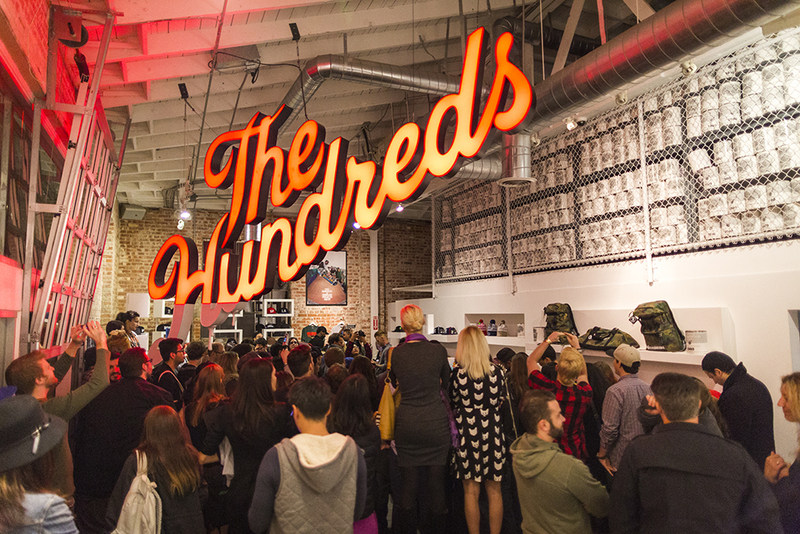 This is the first time a tee has been made available prior to its release.